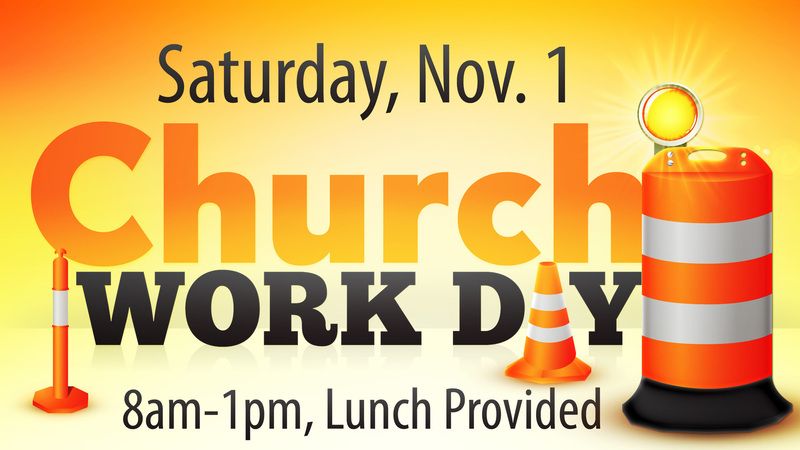 Just a quick reminder about the Fellowship Work Day this Saturday, from 8:00 AM – 1:00 PM. Lunch will be served at 1:00 pm. Thank you to all who have already responded and can make it. We still have many places of service available. Check out the list below and see what area you would like to serve in. Dress warm and in layers – the temperature will start out in the 30’s and get up to mid 50’s – perfect cool fall weather! Many more roles, everyone welcome!